There is the mistaken impression that computers represent the future and that everyone, especially the very young, should become computer savvy as soon as possible. According to this view, failure to expose children to high technology handicaps their ability to function in the real world. However, in the real world, addiction to the omnipresent small screens can be an actual handicap. Discouraging overexposure to technology might actually be an advantage in today’s hyper-connected world. Such views are not those of overprotective parents unfamiliar with these technologies. Even the most enthusiastic promoters of computer gadgetry can be seen discouraging the very products they produce. The most notable case was Apple co-founder Steve Jobs, who claimed he did not let his teenage children have iPads and limited their tech consumption at home. 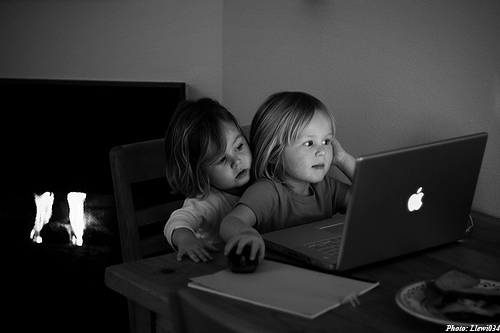 When the iPad exploded into market in 2010, Jobs’ daughters Erin and Eve were not part of the market. The late Steve Jobs and wife Laurene Powell deliberately regulated their children’s exposure to the new products and its culture. What did the young Jobs girls do instead of texting and surfing the Web? Apparently, they did the things normal children do. Biographer Walter Isaacson reports the family had dinner together every night where they would discuss books, history and other non-technical things. The iPad, iPhone and other devices had no place at their table. And the children did not seem particularly disturbed by the fact. Jobs, who died in October 2011, thought that limiting his daughters’ computer use would help his children develop a love for creative expression. He did not want them whiling away their time on games and useless programs. Paradoxically, Jobs enthusiastically filled the world with gadgets that transformed the way most people listen to music, entertain themselves and communicate. However, what he marketed to other families, he did not necessarily want for his own. Apparently Jobs was not alone. It appears that a growing number of high-tech executives take measures to limit the amount of exposure their children have to the technology they produce, design and market. These concerned parents cite the new technology’s overwhelming attraction and addiction as factors in their decisions. One example of this trend is found at a Silicon Valley elementary school. According to a 2011 New York Times story on the trend, many engineers and executives from high profile tech companies like Apple, eBay, Google, Hewlett-Packard, and Yahoo send their children to a Waldorf elementary school in Los Altos, California, where television viewing is discouraged and electronic devices are banned. They claim such radical educational measures are necessary to ensure their children develop all their talents without unnecessary distractions. Such “radical” measures are really not that radical. In fact, parents need not send their children to expensive private schools to allow their own children the same privileges as their counterparts in Los Altos. All parents need to do is let their children be children. Children need to grow up being children with all the interacting, creativity and spontaneity that has always been part of a healthy childhood. They need to do things like play games, eat together as a family and solve problems together. The real radicals are those who allow their children to be electronically sequestered and tethered to their little devices and thus never encountering the real world. If there is any doubt about this, all one needs to do is ask the experts. Steve Jobs would agree.